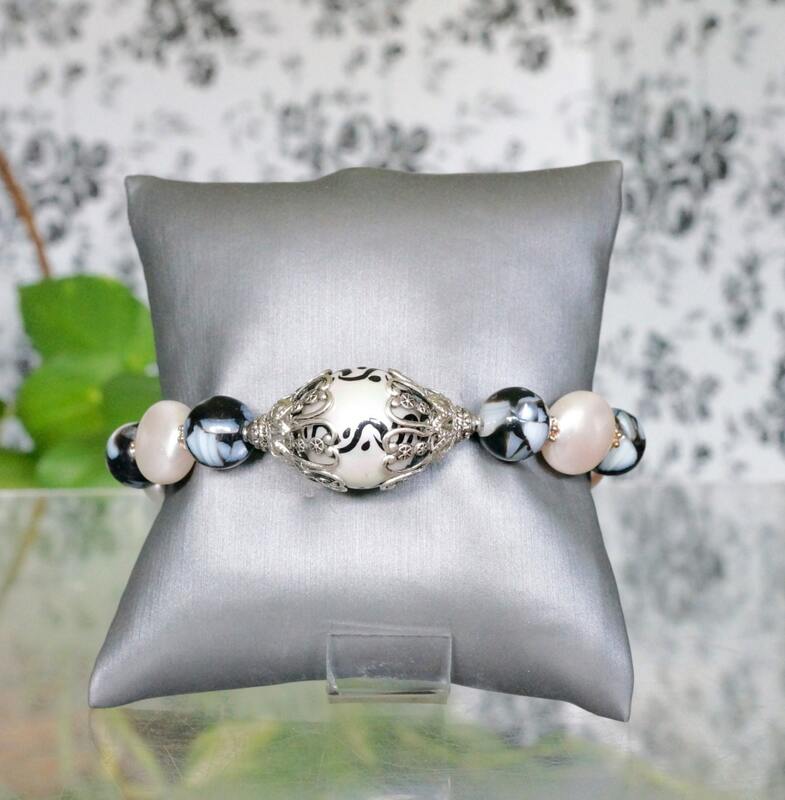 The focal bead of this statement bracelet is a hand painted white shell pearl. 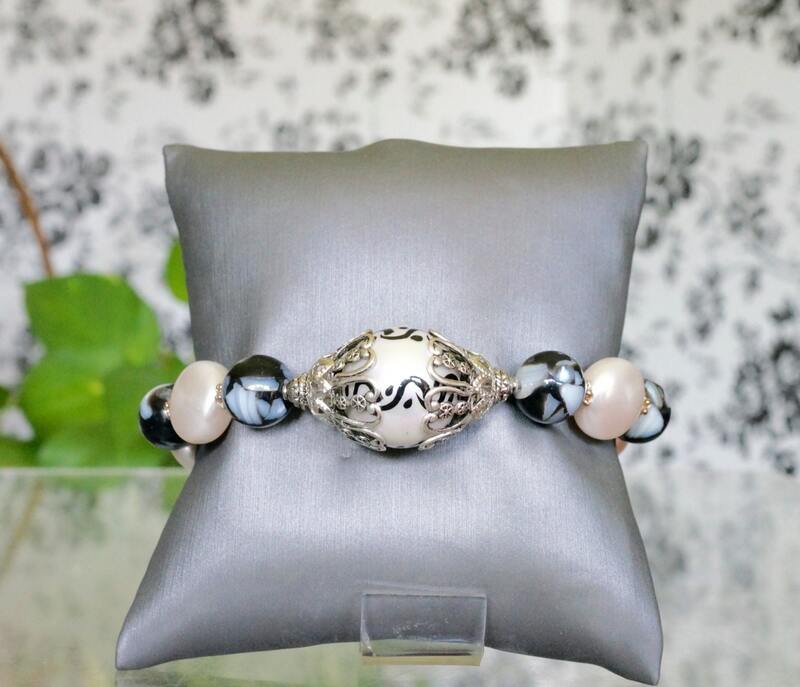 It is framed in multilayer bead cones that are silver plated. 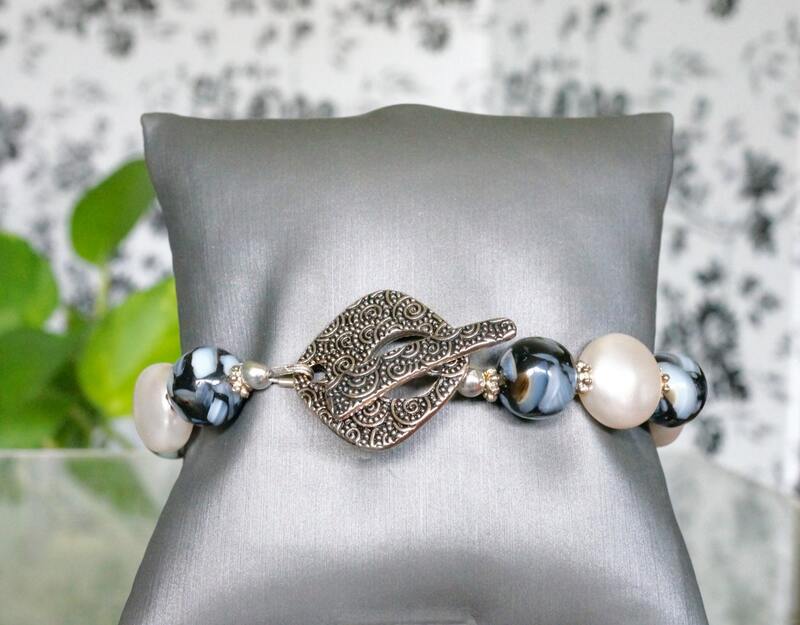 The surrounding beads are black vein jasper rounds, and Swarovski crystal coin pearls. It all comes together with a pewter toggle. It fits a 6.5 inch wrist very nicely.